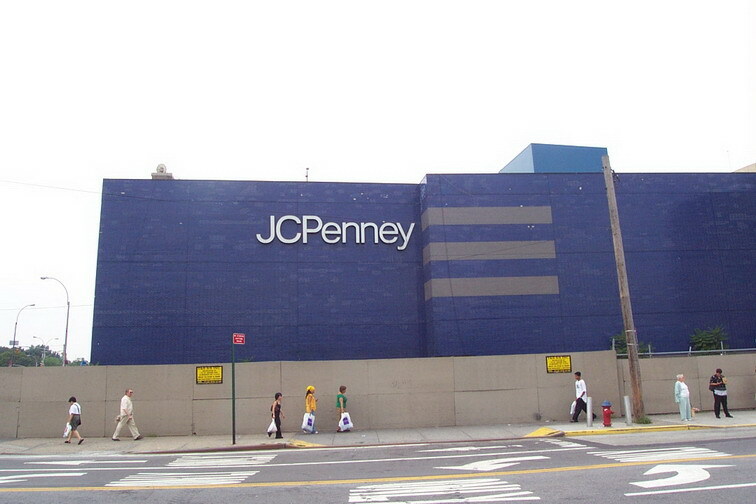 Queens Center is a large suburban-style mall anchored by Macys and JCPenney in a very urban location, New York City. 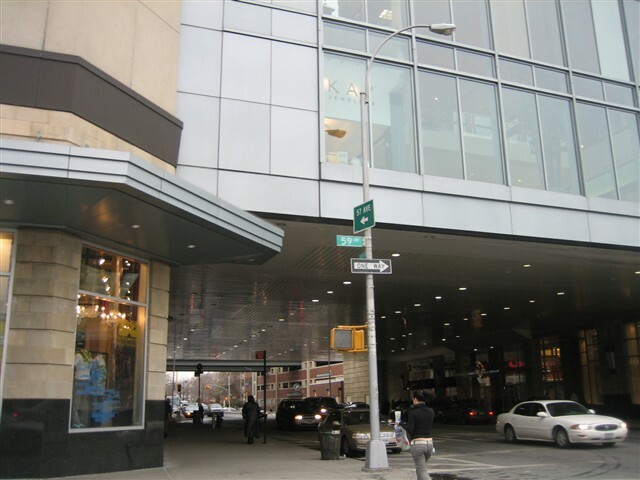 Located in the Elmhurst section of the borough of Queens, Queens Center is accessible by multi-modal forms of transportation: Subway, Bus, Car, foot, horse, turtle, whatever; it all converges at this mall. 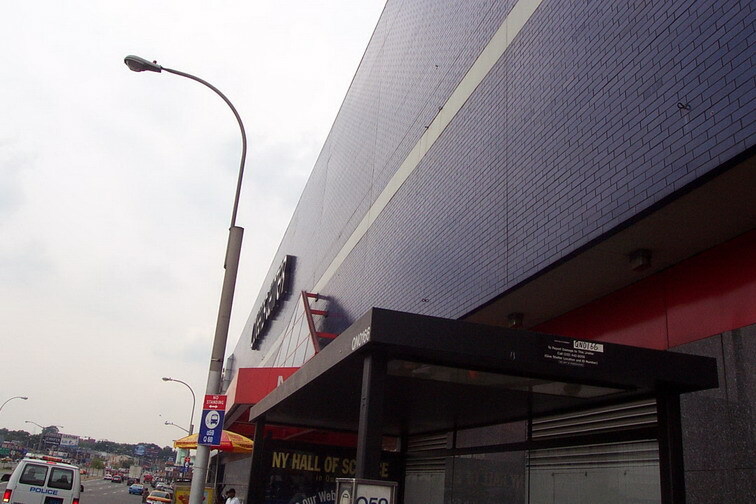 Despite its name, the mall is not located in the geographic center of the Borough of Queens and actually about 4 miles to the northwest. 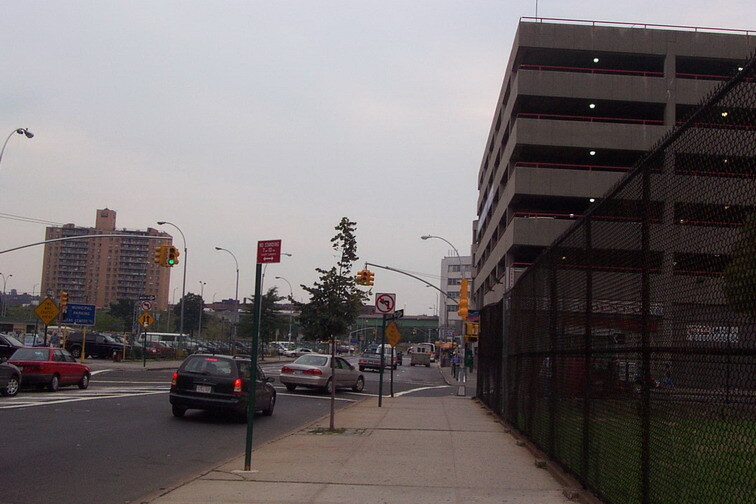 Queens Center is, however, located at one of the busiest intersections in the borough, Queens Boulevard and Woodhaven Boulevard, adjacent to the LIE (I-495) which is one of the main arteries carrying traffic from Midtown Manhattan out onto the vast expanse of suburban Long Island. Queens Center is unique in that it is only one of a handful of large shopping malls within New York City, which has a population of 8 million. 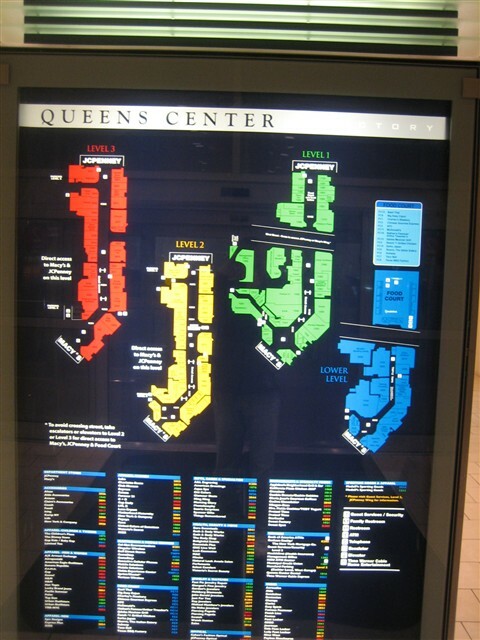 And in fact, it is the only large enclosed mall within the borough of Queens, with a population of 2.2 million. 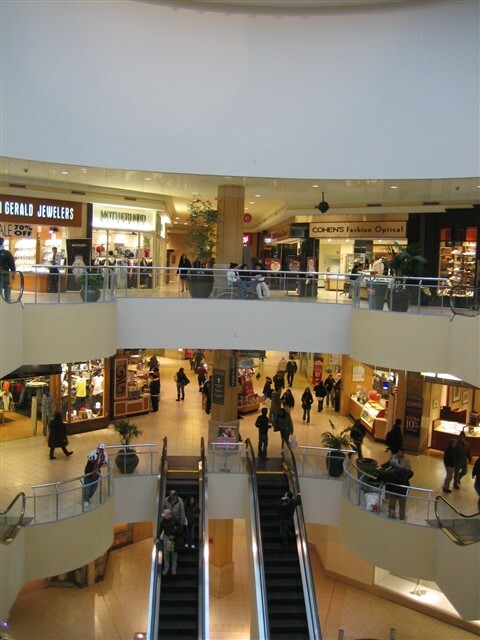 As such, the mall is often crowded and numerous sources cite Queens Center as having the highest profit per square foot in the United States for an enclosed mall. This is largely due to the fact that the millions of residents surrounding the mall would rather shop locally than either make the tedious journey into Manhattan or drive to the large suburban malls farther out on Long Island in the suburbs. 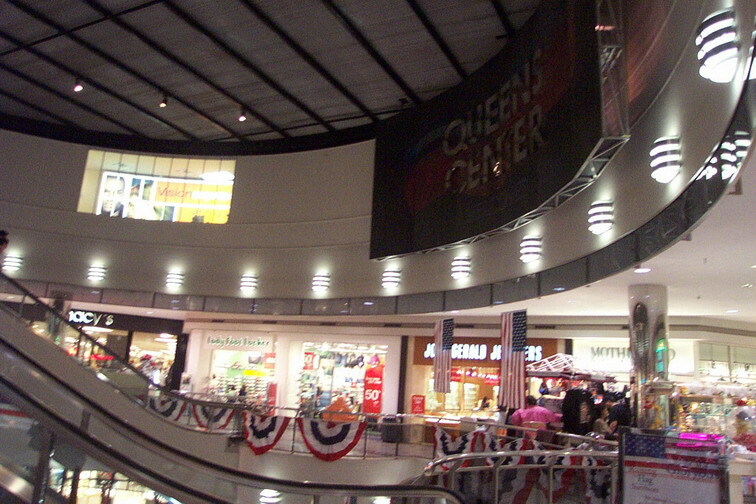 We visited Queens Center twice, once in 2001 before renovation and once in 2007. Feel free to leave comments and enjoy the photo sets. 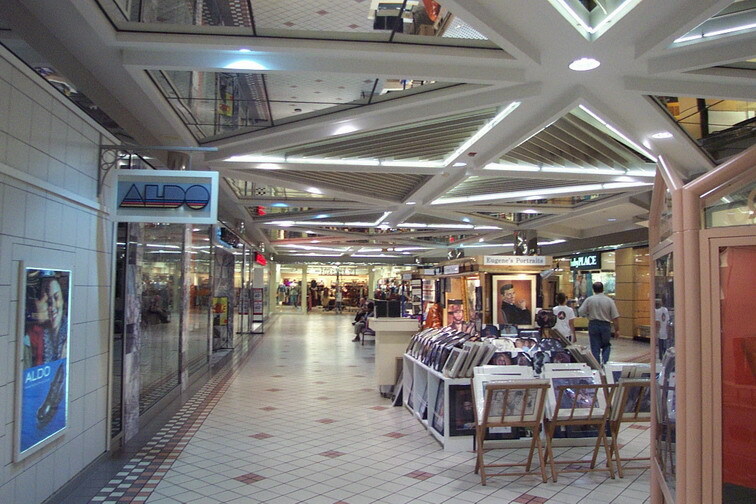 THE MALL OPENED IN 1974 UNDER TAUBMAN OWNERSHIP. TAUBMAN OFTEN LEVERAGE ONE MALL AGAINST ANOTHER. 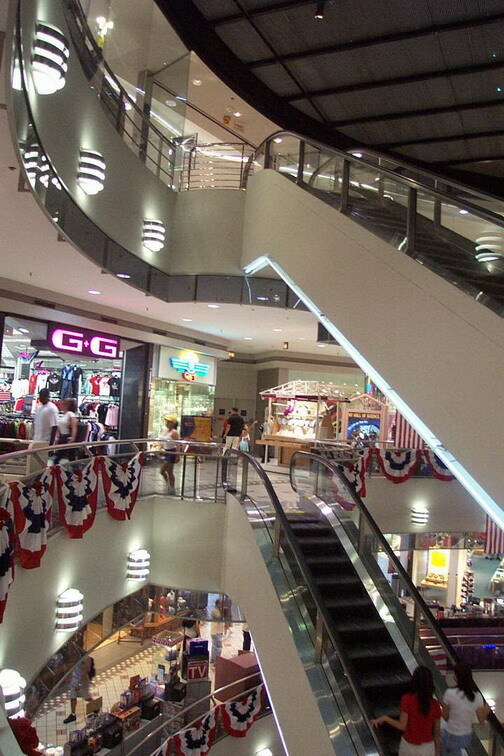 AS A RESOLT SOME MALLS WERE FORSED TO BE SOLD TO PAY DEBTS ON OTHERS. I VISITED QC IN JUNE & ALL I CAN SAY IS HOLY **** . PEOPLE WERE EVERYWARE. Doesn’t the Macy’s predate the mall, going back to the mid-60s? or is that in a different section of Queens? Macy’s actually opened a free-standing store on Queens Blvd in Fall 1965, in the round building, just east of Queens Center. When Queens Center opened in 1973 the anchors were a branch of Brooklyn’s Abraham & Straus and Ohrbach’s. Ohrbach’s became Steinbach in 1987, and JC Penney in 1990. 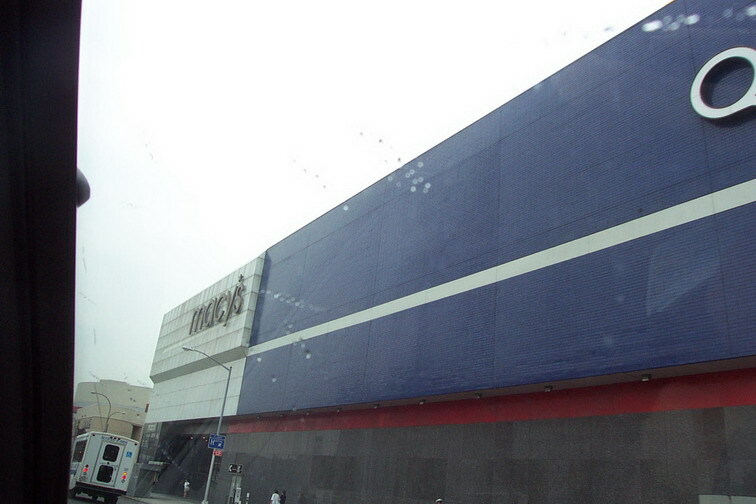 That building was demolished in the recent expansion and a new Penney’s was built. When Federated bought Macy’s and decided to discontinue the venerable A&S division, they opted to move Macy’s into the larger A&S space in 1995, and close their store-in-the-round. Actually, the furniture department has reopened in the old building, which was subdivided into Target, Outback, and other retailers. BTW, even though the building was round (except for a small ‘notch’ necessitated by one land owner’s refusal to sell to Macy’s), the store itself was conventionally rectangular. 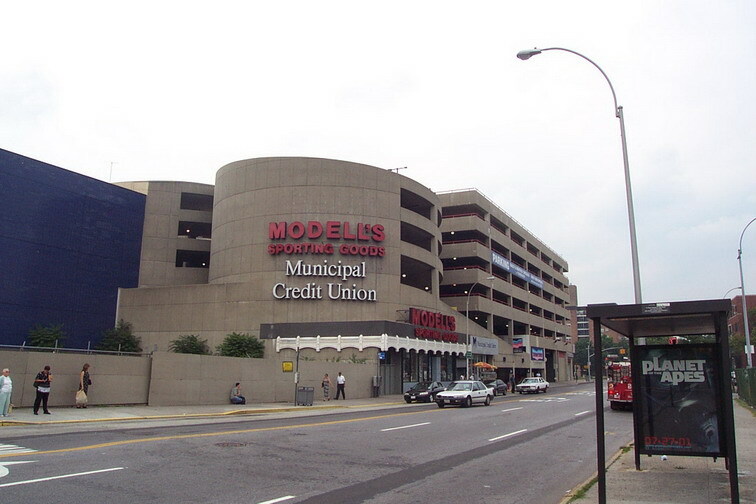 A parking garage with rounded exterior walls surrounds the store . @Paul, Do you know anything about the little old lady who would not sell to Macy’s and if the house is still standing and what condition is it in? Very interested in finding out. @Gloria, Are you referring to the flagship, and the house on the corner? It’s still standing, but covered up, it’s where the “Macy’s: World Largest Store” signs are. It was leased to Macy’s, where they paid (and still pay?) very high rent costs. @Gloria, I’ve got it. The old lady’s house and the circular garage is “Queens Place Mall” (not this one). The house was demolished soon after she died, it’s a strip center now. @Pseudo3D, I lived in Queens in the 1960s and remember hearing the story of the old lady. The story I heard at the time–I don’t know how accurate it is–is that she was offered $200,000–a huge sum for the mid-1960s–for the property, still refused to sell, and that was what forced the circular building design. I visited the area again in the early 1990s and saw that the house had indeed been demolished. If memory serves me correctly, there was a bank standing there at the time. So it appears the circular Macy’s building has also been demolished now and replaced by the Queens Center? @Pseudo3D, I looked again and the circular building is still there as the Target store, correct? 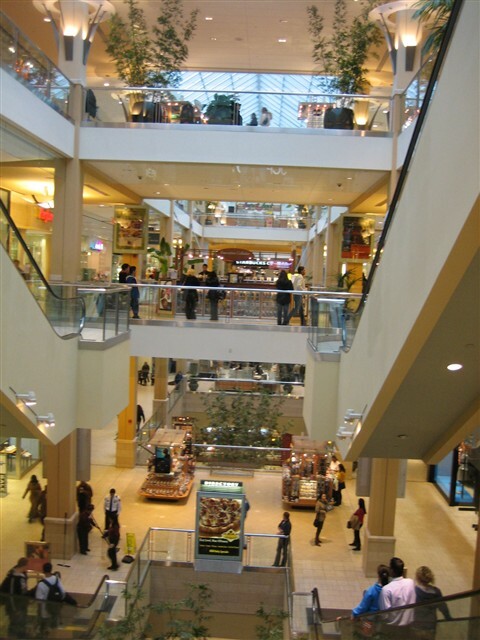 Although I have never been to Queens Center, I have seen it covered on the news as one of the malls they visit on Black Friday or Chistmas Eve (Garden State Plaza, Newport Centre and Roosevelt Field are the other ones from when they tend to report). The expansion project looks impressive and it seems to have improved the mall significantly. When it comes to mainstream malls in New York City, there really aren’t very many…along with Queens Center, just Kings Plaza (Brooklyn), the Staten Island Mall (which is really more suburban in nature…and is supposedly planning another expansion) and the Manhattan Mall (which has really fallen from grace since its days as A&S Plaza) make up mainstream malls in NYC (while Time Warner Center Mall seems successful, it mainly caters to an upscale cleintele). 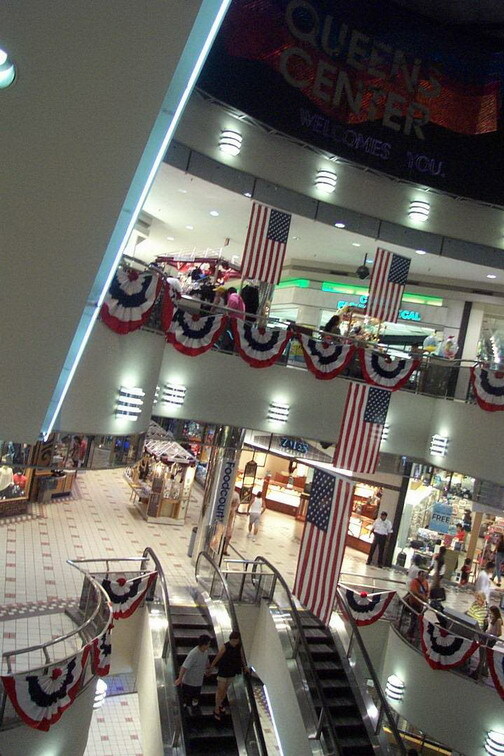 Of the NYC mainstream malls, Queens Center has the best location and therefore, will continue to be prosperous. I believe Fran was the FLASHY girl from Flushing … I don’t think she was going around in a trenchcoat exposing herself! GETTING TO QUEENS CENTER IS EASY: FROM TIMES SQUARE TAKE AN “R” TRAIN TO WOODHAVEN BLVD. Odd….I was under the impression that basement food courts were passe. AS FAR AS FOOD COURTS GO YOU DON’T SEE THEM IN BASEMENTS THAT MUCH ANY MORE AS THE LAST POSTER POINTED OUT, BUT YOU WILL FIND THEM IN THE BASEMENT OF MANHATTAN MALL & GARDEN STATE PLAZA. INFACT THE LOWER LEVEL OF GSP WAS THE DELIVERY TUNNELS THAT WERE REDEVELOPED INTO RETAIL SPACE & THE ALREADY MENOND FOOD COURT. I DON’T HOW MANY OTHER MALLS WERE LIKE THAT ,BUT I AM SURE YOU WILL FIND THEM. Sean, could you please not type in all capitals? Thank you. That line going through the mall near the JCPenney wing…is that a subway line? Awesome! BE CAREFUL WHEN CROSSING WOODHAVEN BLVD , CARS TEND TO SPEED. If you must cross queens blvd use subway stairs to go down & back up. For those who don’t know queens blvd is extreamly dangerous to cross. I prefer the 2001 mall. 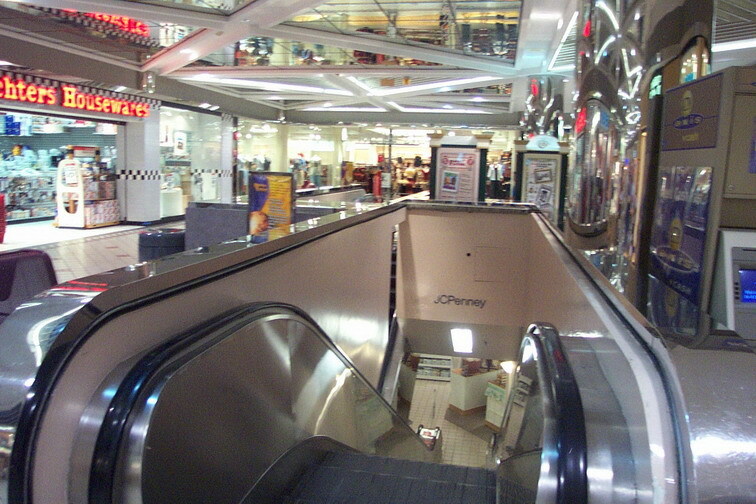 A moody food court with lots of neon, the long JCPenney escalator, and mirrored ceilings. 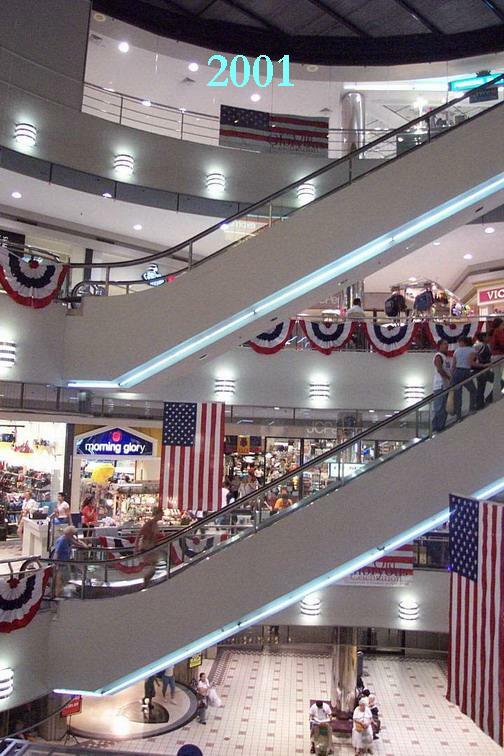 Still, the 2007 mall does seem better and uniformed. I visited Atlas Park on Saturday & was not impressed. There were few shoppers & acordding to the information office the number of vacancies were growing, six since christmas. The center is not as close to highways as the map would have you believe. the area is about a half mile south of Woodhaven & Queens Boulevards in a neighborhood of mid-century garden apartment complexes. You will find plenty of local shopping along the way on 80th Street. Queens Center on the other hand was totally crazy durring & after lunch. QC semes to be really holding it’s own. I guess location has a lot to do with that, especially with the subway stop a block away & continuous bus service from all over Queens, I’de imagine that would be the case. A word of caution Atlas Park is dog friendly & people at times DON’T follow rules on how to control there pets. If you don’t like dogs around when you shop, this is not the place for you. Outside of Regal Cinemas, CPK, Borders, Cold Water Creek, Chilli’s Grill &Bar there very few national retailers there, making it hard to make any statements reguarding success or failure at this point. I used to go to Newtown High School right behind the mall in the late 90s and that was the hang out spot and workplace for many newtowners. 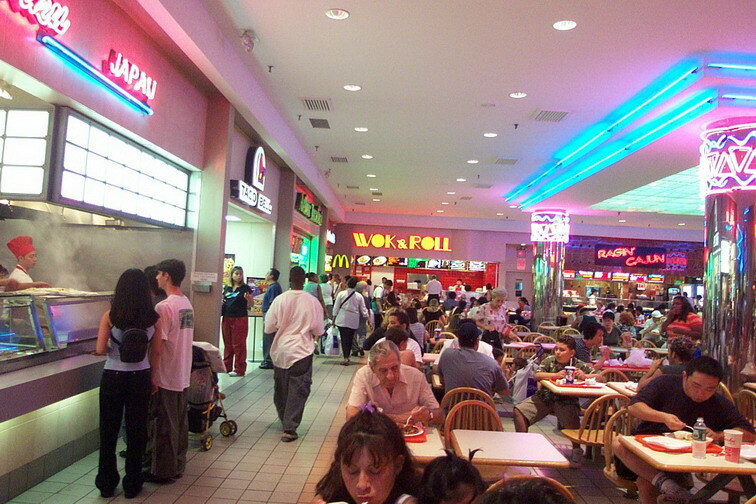 I love the current renovations but the previous food court was better located.. It is kind of hard to get to the new one. I grew up a few blocks behind the mall and watched it being built. The site of the original (pre-expansion) mall had been occupied by a Food Parade supermarket (formerly Billy Blake’s) and a small amusement park called Fairyland, along with a gas station or two. The first anchors were, indeed, Ohrbach and A&S. I opened my first bank account at Emigrant Savings Bank in the mall. The circular atrium was what made the place unique, although I recall feeling somewhat claustrophobic. I have not been in the place since long before the expansion, but the area across 92nd street on which the addition was built used to be a huge commuter parking lot, for the Woodhaven Blvd. subway station. I wonder where those people park now? 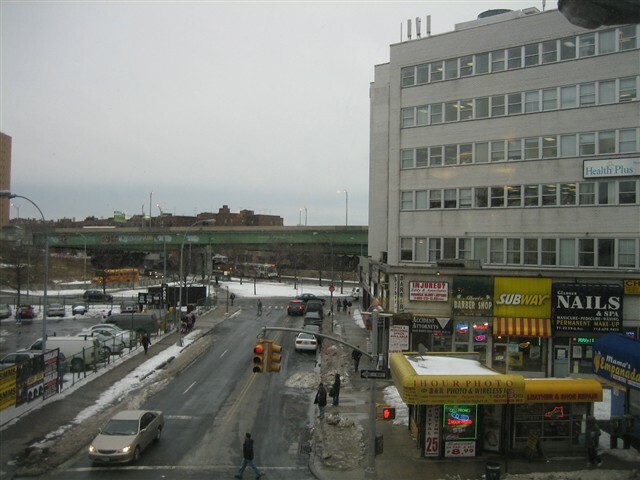 By the way, one of the photos you have posted — the lower left corner under 2007 — does not show the mall, but the white office building across the street, also fronting on Queens Blvd., which predates the mall by at least 10 years. I remember growing up as a kid is Queens Center Mall. When it was a real mall. When there were fountains at the bottom and there were 2 types of people hanging out back then. Guidos and Metalheads. There was this store upstairs called FanFan it was ridiculous. They sold weird lamps incense and spiked bracelets, heavy metal posters and back patches. The best. And you could get an Orange Julius, and there was a David’s cookies…what else?o yeah a Musicland…I dont know i barely bought anything there i just hung out. It was a great place back then, Its garbage now. Pre-2007 its so monolithic. Reminds me of the Bullring. Wasnt there an amusement park on the queens center site before it opened. I also remember that they initially had to build around a house of a person that would not sell. I have films of the house, could be a world exclusive. I shot the house in the early 1970s. I enjoy this mall. I went there for the first time in 2006 though, so I didn’t see the old version (like on King of Queens). They have many great shops with awesome clothes! Not a fan of the crowds, but that’s the city for ya! Prestige Properties broke ground for the Mall at Bay Plaza, a $300 million, 780,000-sq.-ft. enclosed mall in the Bronx, N.Y. A new Macy’s and an existing JC Penney store will anchor the property. The project will create more than 2,000 construction jobs and more than 1,700 permanent jobs. Prestige Properties plans to open the mall in the spring of 2014. Footnote regarding Atlas Park. 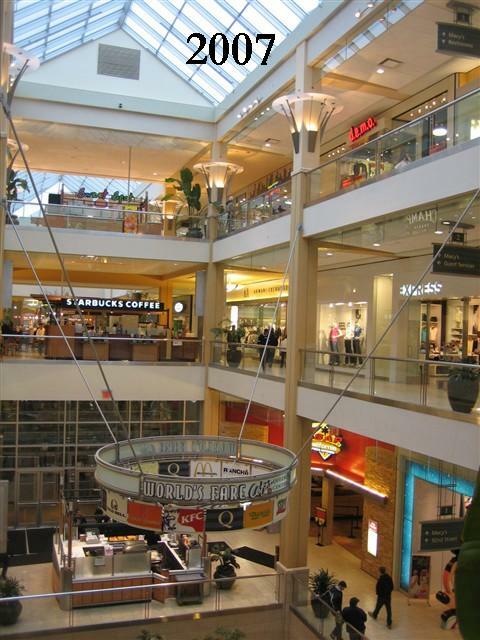 AP was recently aquired by Macerich owners of Queens Center & is being remerchendised. @SEAN, I CANT BELIEVE IT SEAN NEAR MY OLD NEIGHBORHOOD IN THE BRONX OF ALL PLACES, MACYS IS STILL IN PARKCHESTER IN THE BRONX AS WELL. MACYS LOVES TO HAVE DUPLICATE STORES IN MANY AREAS. TWO IN WESTCHESTER, TWO IN ROCKLAND TWO IN PARAMUS. HOW DO THEY DO IT MANY PEOPLE I KNOW ARENT BIG FANS OF MACYS. LET ME TELL YOU THERE IS NO WAY SHOPS AT NANUET WILL BE ON SCHEDULE THEY ARE STILL TEARING THE MALL DOWN. THEY ARE DRAGGING THEIR FEET AS USUAL. @rob, Where in the world have you been lately! I’m surprised that an enclosed mall is even being built in The Bronx at all. Although Co-Op City has tremendous dencity that could support one. Not only that, Bronx Residents who live along Gun Hill Road, Pelham Parkway/ Fordham Road, Allerton Avenue & Boston Road have direct bus service to the future mall. I didn’t know if you were aware, but Boscov’s is opening two NEW stores. One is near Baltimore & the other will be at Woodbridge Center. I posted the note on the Freehold Raceway Page. At this point I’ve given up guessing on the Nanuet Mall. @SEAN, I TELL YOU I WISH BOSCOVS WOULD COME TO THE PARAMUS AREA. IF ANYTHING EVER HAPPENED TO J.C PENNEY THE WAY THINGS ARE GOING WITH THEM BOSCOVS WOULD BE GREAT FOR PALISADES MALL AND THE WAY THE LOCALS MISS BOSCOVS WOULD MAKE THEM PATRONIZE THE MALL ESPECIALLY THE LOCALS WHO DO NOT LIKE THE MALL. @rob, I get what you’re saying, but this thing with Penny’s is far from over. There will bee store closings if things continue as they are. Now some malls like Palisades & Queens Center can absorb them without so much as a blink, while others will have a tough go at it. I doubt the QC Penny’s will close, but if it does, what an oppertunity for either Lord & Taylor or even a restaurant row since Applebee’s is the only sitdown restaurant option inside the mall beyond the overcrowded food court. I could see Boscov’s Working at Palisades since that store matches the current demo of the mall more so than L & T or Cheesecake Factory at this point. @SEAN, i see your point but lord and taylor at palisades has survived a major takeover, fighting off macys, the recession, and i used to work at this store and they still make their plans. cheesecake does well at palisades i think more so than the restaurants on the 4th floor. i hope these two restaurants at palisades opening soon the hibatchi factory and yard house will do well. they still need a replacement for chevys. @rob, Don’t get me wrong, I Don’t think L & T is closing their Palisades location anytime soon. My point was that Boscov’s could work there based on the current demos. 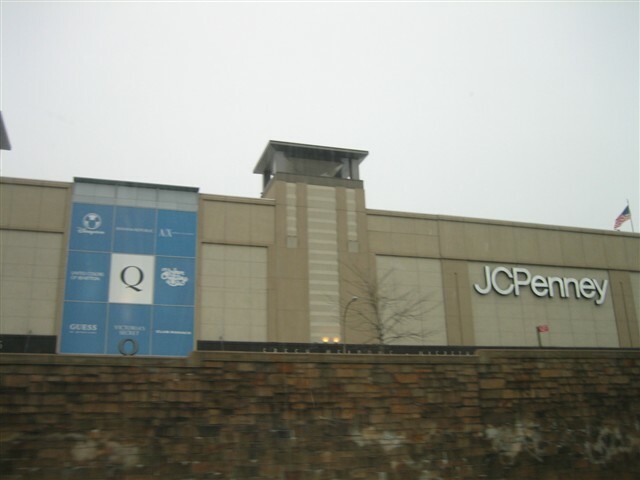 JC Penny right now is in a tough spot & a mall like QC that is very strong, could withstand it’s closure. The Obvious question is what could go in if Penny’s does close? To me there are three options & all would work just fine since the area is so dence & the center is one of the highest grocing malls on a per square foot basis in the country. 3. a restaurant row with inline stores above. @SEAN, IN THE GALLERIA IN WHITE PLAINS JC PENNEY CLOSED THAT LOCATION A NUMBER OF YEARS BACK AND SEARS REPLACED JCP. IF JCP CLOSED LOW VOLUME STORES LIKE PALISADES.BOSCOVS WOULD FIT IN QUEENS CTR MORE SO THAN LORD AND TAYLOR. ITS STILL TOUGH FOR RETAILERS LIKE SEARS JCPENNEY. @rob, I remember that. JC Penny closed not just the White Plains store, but most of their DC area locations as well. Most of those were former Woodwards. One location of note is Tysons Corner where that area was redeveloped into aditional inline retail & restaurant space including a 16-screen AMC theatre & Barnes & Noble. The WP Sears hasn’t performed well since it moved from it’s freestanding store in 2003 as one current employee told me. That former Sears now houses Wal-Mart & Burlington Coat Factory. As a footnote, the Wal-Mart also has been underperforming. Boscov’s at Queens Center maybe a surprise, but as I said in the above post, I really think it could work there. Queens has rather interesting demos especially when you look around the neighborhoods along Queens Boulevard from Jackson Heights through Kew Gardens & on to Jaimaica. Basicly following the E, F, M & R subway lines & the Q60 bus. @SEAN, JCP had its big round of DC closings before it took over former Woodward & Lothrop locations–Ballston, Congressional (already had been sortof replaced by Lakeforest anyway), etc. The former Woodie’s locations are still open as JCP. @Rich, Please correct me if I am wrong, didn’t the Penny’s closures happen around 2001? That’s when the White Plains store closed. Also didn’t Woodys close around that same time? @Rich, For some reason I can’t reply directly to Sean. Woodies closed in ’95 and the stores went to JCP & Hecht’s. JCP had a large round of closings in ’94 or early ’95–that’s what took out Ballston et al. and made the Woodie’s purchases seem odd. 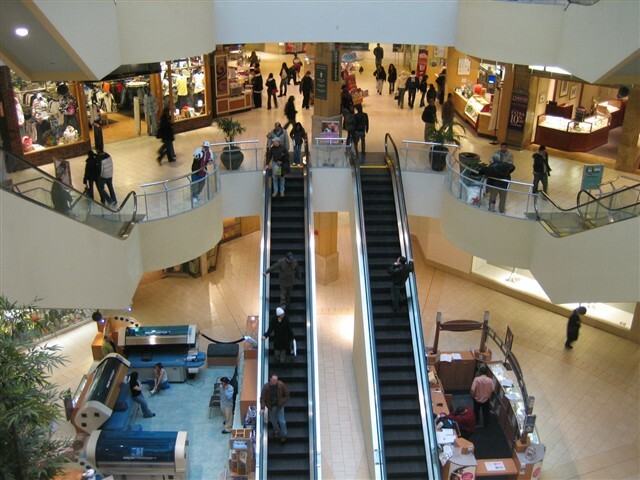 Some made sense–Wheaton & PG Plaza allowed them to re-establish themselves with people who would have shopped the long closed dry goods location in Silver Spring, as well as some of the Congressional Plaza shoppers. JCP did have another round of closings in ’01. The Perimeter Mall store in Atlanta was one of the closures. Tyson’s was one of the ’95 closures. @Rob, If the wrong name comes up when you want to comment, erase the name that comes after the @ & insert the correct name. Be sure to keep the comma & a space as you see it at the beginning of this post. Thanks Rob, now that makes sence. Right now the retail news focus is on the Recon convention & deal making in Las Vegas. It could work, but there needs to be a serious effert regarding traffic & padestrian movement in the area. The intersection of Atlantic & Flatbush Avenues is always traffic clogged & the subway station directly below is the 3rd busyest in the system. plus the LIRR serves the same area with padestrian access from the malls lobby. If you are moving to New York, you might as well dream big–at least that seems to be the view adapted by upscale department store chain Nordstrom as it prepares to open a flagship here. The New York Post reports the retailer just paid $102.5 million for the site of its future New York flagship, at 225 W. 57th Street. The store, Nordstrom’s first full-price location in the city (it already operates a Nordstrom Rack in the Union Square area), will occupy 175,000 sq. ft. on the first seven floors of a planned 88-story residential tower that will be one of the tallest buildings in the world, at 1,550 feet. Nordstrom paid approximately $586 per sq. ft. to secure the site–a significant discount from the average retail rents in the area. It plans to open the store sometime in 2018. For those who weren’t aware, a new mall opened recently at Bay Plaza Shopping Center in the Co-op City neighborhood of The Bronx. The Mall at Bay Plaza http://www.mallatbayplaza.com was built off of a J C Penney that opened a few years ago & Macy’s also opened there. Restaurant options include Red Robin, Joe’s Crab Shack &CPK along with a third floor food court. If you park at the mall you must pay, however the rest of the shopping complex including the AMC theatre has free parking. Below is a 2008 wright up on Co-op City from the NYT. IF Arthur Taub had to do it over, he says, he wouldn’t think twice about moving again to Co-op City, a sprawling, densely populated complex of high-rises on 338 marshy acres next to the Hutchinson River. Thirty-eight years ago, Mr. Taub and his wife, Simone, were among the first occupants of what has become the largest cooperative housing project in the United States, with 15,372 units in 35 towers, as well as 7 town-house clusters varying in size, with an average of 33 units in each. The complex, often described as a city within a city, was built under the state’s 1955 Limited Profit Housing Law, also known as the Mitchell-Lama program, which finances moderate-income housing. From the start, it was racially diverse, attracting residents of many religions and nationalities for whom homeownership had previously been unattainable. But once attained, that responsibility presented Co-op City residents with special challenges: major structural problems in some of the buildings (since repaired); a payment strike in the mid-’70s in response to rises in monthly maintenance costs; mounting debt for the management corporation caused by structural repairs, among other things; and enough controversy over a variety of issues — parking and transportation among them — to keep community advocates like Mr. Taub on their toes. Today, Co-op City, in the Baychester section of the Bronx, is home to three shopping centers, each with its own supermarket, dry cleaner, restaurants, shops and community rooms used for cultural events and private parties. A 25-acre educational park includes three elementary schools, two middle schools, a high school and a planetarium, among other things. In addition, 15 houses of worship have opened in Co-op City. Of the complex’s 55,000 current residents, more than 8,300 are over 60. About 55 percent are black, 25 percent Hispanic and 20 percent white, census figures show. This group may be on the verge of facing a whole new set of challenges: Co-op City’s elected 15-member board of directors, which oversees the Riverbay Management Corporation, is considering removing the complex from the income guidelines of Mitchell-Lama, as the law provides after a project has existed for at least 20 years. This would allow the units to be traded at competitive prices on the open market. “That would be good for those who want to sell, but not so good for those who want to buy,” said Othelia Jones, 78, president of the board and a resident of Co-op City since 1971. A similar referendum was considered four years ago, she said, but shoddy construction in the early years resulted in structural problems in the complex’s eight garages, forcing the management to close them for repairs. With the garages now reopened, she said, the privatization issue is back on the table. The complex has its share of well-known former residents: Representative Eliot L. Engel, Democrat of New York; the actress Queen Latifah; the novelist Richard Price. As alumni, they might remember a time when the complex had a 60-acre greenway — until the garage closures in 2003 forced the management to pave land over for parking. With the parking garage back in service, work on removing the blacktop is under way and the development company is returning it to open space, said Steven H. Gold, Riverbay’s director of sales and marketing. Other aging infrastructure is being repaired, too, Mr. Gold said, including balconies (reinforcement work is in progress) and windows (replacement is in progress throughout the complex). The names of local streets — (Theodore) Dreiser Loop, (Louisa May) Alcott Place, Eugene Debs Place and (Sholem) Asch Loop, among others — were chosen to memorialize the artists, authors and activists who inspired early residents of Co-op City, said Eva Lazaar, an ad representative for The Co-op City Times, one of two papers published here. There are four building configurations in Co-op City: 10 structures in the 26-story Triple Core style, which has 3 entrances and 500 units; 10 in the 24-story Chevron style, with 414 units; 15 in the Tower style, which has 33 stories and 384 units; and the 7 town-house clusters, each individual building with a one-bedroom on the ground floor and a three-bedroom duplex above. The high-rise buildings range from 24 floors to 33, and many have terraces, some with spectacular views of Long Island Sound and even the financial district in Lower Manhattan. Units range from three-and-a-half-room one-bedrooms, for $12,250, to three-bedroom, seven-room duplex town-house units, for $24,500. Upon the sale of a unit, the co-op reimburses what owners originally paid. There are also carrying charges — these days about $184 a room — which cover all utilities and reflect the day-to-day costs of running the complex. On a five-room apartment, the costs run about $920 a month. There are minimum and maximum income requirements for each apartment size. For a three-room unit, like Apartment C on Floors 2 through 24 in the Chevron-style buildings, the minimum is $24,288 a year, the maximum $52,398. The unit has a foyer, an eat-in kitchen, bathroom, bedroom and living room. For a three-bedroom one-and-a-half-bath, like Apartment C in the Triple Core buildings, the minimum income is $52,668, the maximum $132,072. The vacancy rate at Co-op City is under 1 percent, Mr. Gold said, and all of the 66 units currently available will be sold to prospective buyers who have added their names to the management’s waiting list. None of the town-house units are available. As Rose Rodriguez discovered 18 months ago when she moved to a one-bedroom apartment with a balcony, one doesn’t ever have to leave Co-op City. For the movies, she can walk to the 13-screen theater in Bay Plaza Shopping Center, which is next to Co-op City. Her favorite local place to eat is Panera Bread — where, she said, the clam chowder is first-rate. Others, like Mr. and Mrs. Taub, prefer to use the excellent public bus transportation to travel to Manhattan to eat at French restaurants (Mrs. Taub was born in Paris) or attend the theater. There are six nursery schools and day care centers, four basketball courts and five baseball diamonds. For older residents, three centers serve hot lunches six days a week and offer social activities. Harry S. Truman High School in Co-op City, which serves 2,554 in Grades 9 through 12, had 353 graduates last year — or 66 percent of the senior class, said Sana Nasser, the principal. Fewer than a third went on to four-year colleges, she said. Slightly more than half are attending two-year institutions, with the others in the armed forces, at technical schools or in the work force. SAT averages in 2007 were 393 on the reading test, 395 on the math and 384 on the writing, versus 502, 515 and 494 statewide. On weekdays, the M.T.A. offers 52-minute express bus service for $5 one way — $2.50 for those 65 or over — from Dreiser Loop in Co-op City to 51st Street and Fifth Avenue on its BxM7 route. Before developers broke ground for Co-op City in 1966, the land was the site of a short-lived, financially troubled theme park, Freedomland U.S.A., acclaimed in its time as the world’s largest outdoor family entertainment center. It lasted from June 1960 through the 1964 season. In colonial times the British crown deeded the land to Sir Thomas Pell, for whom nearby Pelham Manor and Pelham Parkway are named. The main road to Co-op City, Bartow Avenue, is named for John Bartow, owner of a Revolutionary War-era grist mill on the site.